The Diocesan Services Appeal provides many essential programs within the five counties of the Palm Beach Diocese. Because of your stewardship of God’s Gifts, the Diocesan Services Appeal is able to provide essential services in the Diocese of Palm Beach. By way of the grace we receive through the hearing of the Gospel and the celebration of the sacraments, we can truly be Stewards of His Gifts. You can learn more about this year’s appeal by downloading a brochure here. 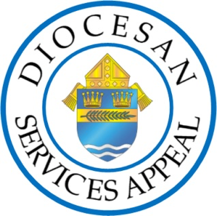 Thank you to again everyone who donated to the 2017 Diocesan Services Appeal. The assessment for our Parish for 2018 is $252,000.00. We thank you in advance for helping us reach this year’s goal.